What's a well-known investment vehicle that's attracted hard-earned money for more than four decades? Here's a hint: It's all about retirement. Individual retirement accounts, or IRAs, account for a significant portion of Americans' retirement savings. Approximately $7.6 trillion were held in IRAs at the end of March 2015, accounting for nearly a third of U.S. households' total retirement assets, according to the Investment Company Institute. If you're interested in opening an IRA account, here's what you should know. Individual retirement accounts allow you to make tax-advantaged contributions to save for retirement. You can set up an IRA through a financial services company, such as a bank, brokerage firm, or insurance company. As with employer-sponsored 401(k) plans, IRA account holders can choose how their retirement funds are invested and will have a wider range of investment options. The government initially created IRAs in 1974 to provide more flexibility to savers and to allow workers without access to employer-sponsored pension plans to save for retirement. But today, even those participating in employer-sponsored retirement plans are eligible to contribute to IRAs. IRA accounts come with specific tax advantages, depending on your income and which type you choose. The two primary types of IRAs are the traditional IRA and the Roth IRA. If you aren't eligible to deduct your contributions from your taxable income, you may still benefit by opening an IRA account: The earnings on the investments in your IRA account grow tax-deferred. That means you'll only face taxes on earnings when you withdraw money from your IRA account. Owners of traditional IRA accounts may contribute to their accounts until age 70 1/2. Those seeking an immediate tax break and/or those who expect to be in a lower tax bracket upon retirement than they are at present may find traditional IRAs to be a particularly good choice. Roth IRA: Roth IRA contributions are not deductible from your taxable income. However, money in Roth IRA accounts grow tax free. Unlike an IRA, earnings may be withdrawn tax free as long as the account has been open at least five years and you are 59½ or older. Contributions can be withdrawn any time without taxes or penalty. There is no age limit on Roth IRA contributions (and no requirement to begin taking contributions by a certain age), but not everyone is eligible to participate in a Roth IRA. Those with incomes exceeding a certain threshold are not allowed to contribute to Roth IRAs. For more information on income-related contribution limits, see the IRS website. Those who expect to be in a higher tax bracket upon retirement than they are at present may find Roth IRAs to be a particularly good choice. But there is also uncertainty around just what the Federal tax rates will be in the future. Other options: There are also other IRA account choices. Spousal IRA accounts can be of the traditional or Roth variety and are reserved for nonworking spouses, allowing them to build their retirement savings despite not earning income. Deemed or "sidecar" IRAs are IRA accounts through which employers automatically deduct an employee’s IRA contributions from their after-tax compensation. They, too, follow the rules for traditional or Roth IRAs. While Roth IRAs stipulate certain contribution limits based on income, both types of IRAs fall under broader, annual contribution limits. For 2015, anyone under the age of 50 can contribute up to $5,500 to his or her IRA accounts per year. Those aged 50 or older may contribute up to $6,500. However, your contributions can’t exceed your taxable income, so if your taxable income is less than those limits, you can only contribute up to the value of your taxable income. However, there is no limit on how much you can roll over from an existing fund to another fund. 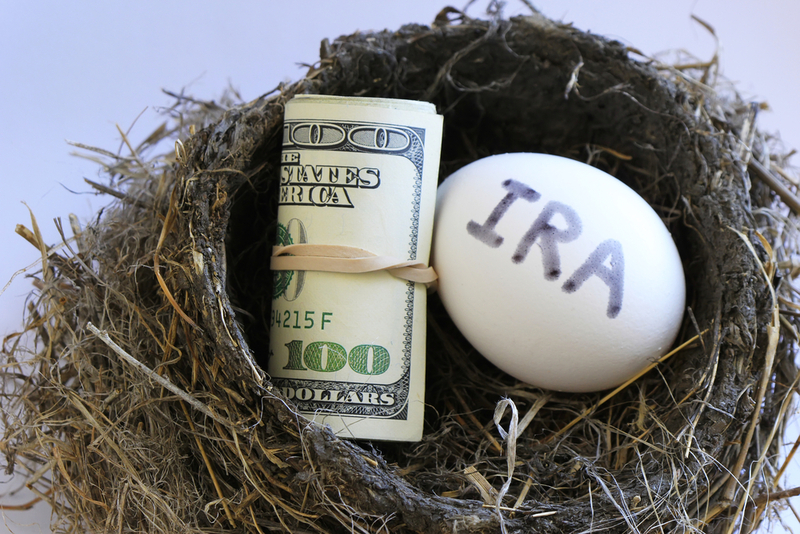 Technically, you can withdraw money from an IRA account at any time, but doing so before age 59½ can trigger hefty tax penalties unless you meet certain IRS conditions. For a traditional IRA account, withdrawing funds early can mean a 10 percent tax penalty on the withdrawal, in addition to the taxes that are owed on the withdrawal. For Roth IRA accounts, contributions may be withdrawn tax-free at any time, but any earnings on your contributions are still subject to the 10 percent penalty unless the account has been open at least five years and you are 59½ or older. Generally speaking, the longer you wait to withdraw your retirement savings the better. You not only avoid penalties (if you don’t withdraw before 59 ½) but also allow your retirement savings to compound over time, increasing the amount of funds you have available in retirement. Some may have the resources to delay their IRA account withdrawals beyond their retirement date, but whether you can actually do that depends on your type of IRA. Roth IRA account owners may delay their withdrawals as long as they'd like, but traditional IRA account holders are required to begin taking minimum distributions by age 70½. To determine the size of your required minimum distributions, use FINRA's required minimum distribution calculator.